SSA mormalized with Heiken Ashi scalping is a trading system based on SSA indicator. 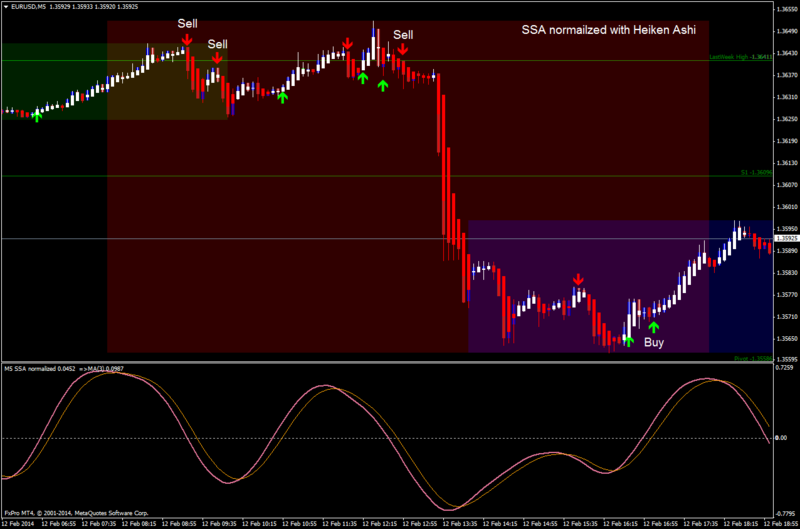 SSA normalized indicator crosses upward. SSA normalized indicator crosses downward. at the levels of the fibopivot.